I. What Are Split Ends? Split ends are among the most common symptoms of damaged hair, especially for those with long hair who like to try various hairstyles. Obviously, no one would want their perfect hairstyle ruined by ugly frizzy split ends. You can trim your hair regularly to get rid of them, but then there may be a risk of messing up your hair, and it won’t be long until those stubborn split ends come back. 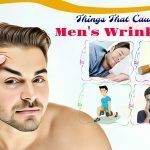 Besides regular hair trimming, it is recommended to take good care of your hair to prevent split ends, and also grow your hair strong and beautiful. 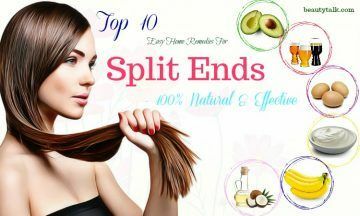 This article from Beauty Talk will show you 10 best natural home remedies for split ends that work quickly. Split ends are the damaged part of your hair, in which the hair shaft is split or frayed. There could be many reasons, but split ends suggest that your hair is dry or lack of adequate nutrients. Normally, split ends occur at the ends of hair shafts, but actually, it could also happen in the middle. Split ends often result from external factors like the excessive use of hair dryers, hair curlers. Overexposure to the sun, overuse of chemicals or washing your hair with hot water will increase the risk of split ends. 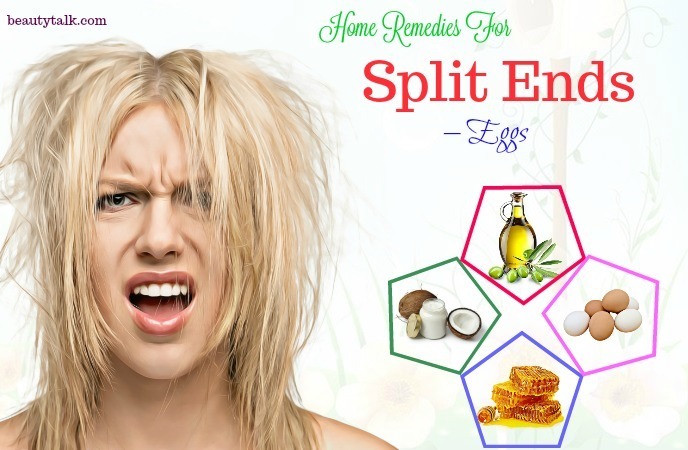 Lack of a proper hair care routine is also a reason that would lead to split ends. Apart from external factors, internal factors could so cause split ends. 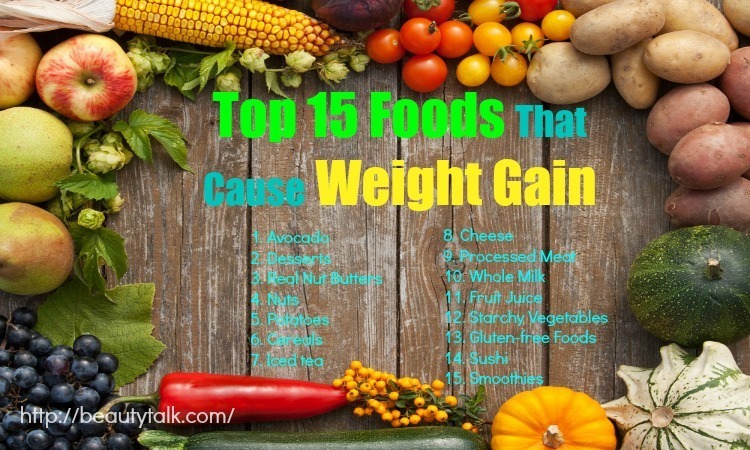 An unbalanced diet, which does not provide you efficient nutrients, will lead to the problem. Here comes the top recommendation for any health and beauty tips: the almighty eggs. 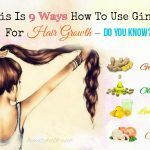 It is, basically, a pack full of protein and other nutrients, including vitamin A, D, and E. It is the perfect treatment for your damaged hair because the rich protein in eggs is what needed for your hair recovery. It helps strengthen your hair, reducing vulnerability against breakage and giving you a shiny, beautiful, and healthy hair. On top of that, eggs also contain fatty acids, which is incredibly effective in moisturizing your hair and preventing the dryness and tangles. There are several ways to make the best use of eggs as a remedy. You can either mix it with other ingredients or use the eggs directly. The first recommended remedy is to mix one egg with two tablespoons of coconut oil and apply it to your hair for 30 minutes. After that, use shampoo to wash your hair. If you are afraid that eggs may leave a bad smell on your hair, one small hack is to add a bit of lime into the mixture before you use it. On the other hand, you can also use one egg yolk, and combine it with about two tablespoons of olive oil and a tablespoon of honey. Leave it for about 30 minutes just like the first remedy before rinsing your hair. More simple, just whisk an egg with your regular shampoo, and wash your hair as usual to get the best effect. A friendly reminder is that you may not want to use warm or hot water if you don’t wish to mess your hair up with scrambled eggs. Coconut oil has always been well-known for its numerous benefits for health and beauty. A good ingredient in the must-have list for beauty care, coconut oil is an item that should always be available in your home. Coconut oil provides moisture for your hair, deeply conditioning the hair follicles. 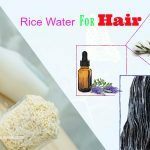 It is also rich in fatty acids, vitamins, minerals, and antioxidants, which intensely nourish and recover your damaged hair, eliminating frizzy and unmanageable hair, keeping your hair beautifully glossy and strong. First, wash your hair and dry it gently with a towel. After that, take an adequate amount of coconut oil and apply it to your hair, except for the root part. For natural oils like coconut oil, you should apply a little at a time until it is enough. Then let it sit for 30 minutes and finally wash your hair with mild shampoo again until you completely get rid of the oil. For better performance, you can add a tablespoon of honey to coconut oil and apply it to your hair like the first remedy. If you have trouble washing off the coconut oil, you might want to check if baking soda, egg white, or apple cider vinegar could work. Avocado is another incredible treatment for your hair since it is a unique fruit that contains a high level of nutrients just like an egg does. The natural oils in avocados are what makes them a special fruit. Together with fatty amino acids, which are rich in avocados, they moisturize and at the same time maintain it to prevent dryness. As mentioned, similar to eggs, avocado also contains protein, vitamin A, B, D, & E, and even minerals, providing sufficient nutrients for your hair and strengthening and nourishing it . You can combine avocado with other ingredients in various ways to optimize the use of it. For the first remedy, you need one ripe avocado, take the flesh and whip it well with one egg white and two tablespoons of olive oil. When the mixture is perfectly smooth and consistent, apply it to your hair, and leave it for about 45 minutes. You should use a shower cap to cover your hair. Finally, washing your hair with mild shampoo to remove the mixture, and get your perfect shiny hair instead. Otherwise, you can use that ripe avocado and mix it with two tablespoons of honey, and about the same amount of olive oil. Whip the mixture until it is smooth and consistent, then carefully apply it to your hair, and cover it with a shower cap. For the next step, you can use a hair dryer to heat the mixture for 15 minutes. If you are afraid that the heat might be harmful to your hair, you can sit under the sun for a while longer. Finish it off by washing your hair with natural shampoo. Not exactly surprising, but the beer is not just a mere drink for celebration only, but also an excellent remedy for health and beauty tips, especially for fixing split ends. Vitamin B and protein from beer help to repair damaged hair and strengthen hair follicles, while sugars will contribute to a glossy hair. However, keep in mind beer, or any other remedy, can only repair damaged hair, and nourish it to prevent split ends. 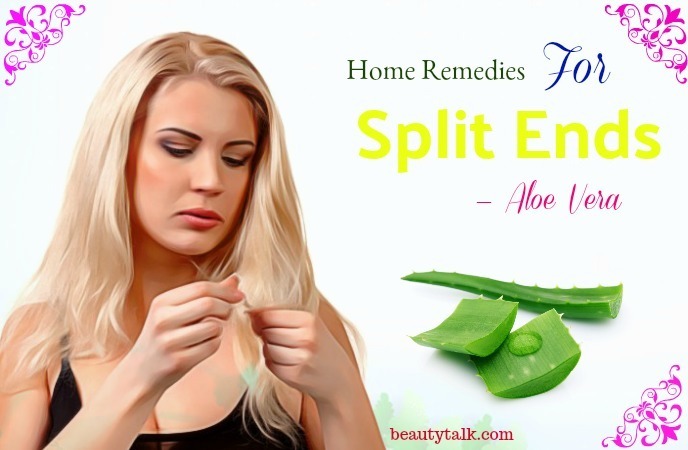 Once you experience split ends, the only way to fix it is to trim the ruined part. Using beer is pretty simple as compared to other remedies since you can use the beer directly. The only minus point for this remedy is that beer might leave a smell that most of you’re not fond. However, you can use shampoo to get rid of the smell, and the result is worth it. Firstly, apply the beer directly on your hair. It is recommended to pour beer into a spray bottle so that beer can be sprayed evenly on your hair. You can massage your hair for a better effect, and rinse it off with a mild shampoo after 20 minutes. In contrast, you can wash your hair with shampoo first, then use the upper method to apply beer on your hair. Wait until your hair dry, and there is no need to rinse it off. You may have to bear with the smell for a while, but it soon will fade away. Yogurt is not only a nutritious food for your skin and your digestive system, but it also has more incredible benefits for your damaged hair than you imagine . 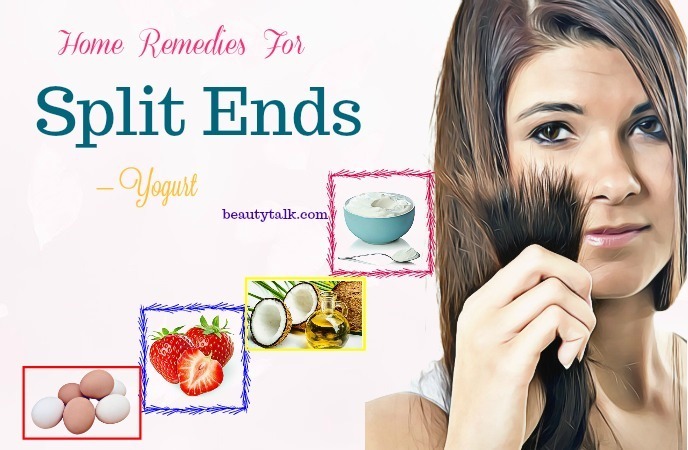 Just like any other remedy for split ends, yogurt is also rich in protein, which provides enough nutrient and care for your damaged hair to recover and avoid split ends. Acid lactic in yogurt is the savior for dry and frizzy hair, as it is the perfect conditioner to moisturize and keep your hair hydrated. On top of that, vitamins and calcium in yogurt also contribute to a stronger and shiny hair. Yogurt itself already has sufficient nutrients for a hair mask. All you need to prepare is about four tablespoon of yogurt and apply it to your hair for 30 minutes. You can mix one egg to the yogurt for an even better result. Finish it off by washing your hair with shampoo. You can use strawberry to add more vitamins and minerals to your yogurt hair mask. Add two tablespoons of coconut oil, as well as four strawberries to yogurt and use a blender to blend them smoothly. Finally, add an egg to the mixture and mix them well. Work it on your hair for half an hour, after that, wash it off with shampoo. Banana is another excellent natural hair conditioner that you should keep on your list. The rich nutrients, which include carbohydrates, vitamins, minerals, and natural oils, in banana intensely nourish the hair follicles, hence, reducing the chances that split ends will reoccur. Banana can help repair damaged hair, keep it moisturized, and make it attractively silky. If you are facing additional problems of hair loss, banana can be the perfect solution. There are many flexible applications of banana hair masks for you to try out. First, you need a ripe banana mashed. 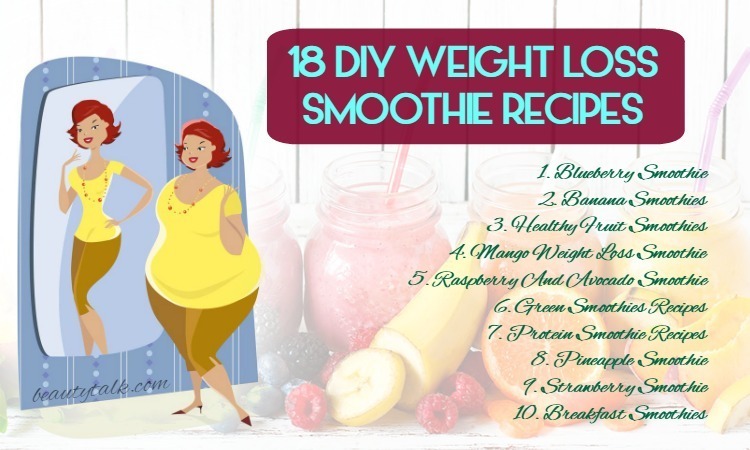 Mix it with yogurt and a few drops of lemon juice and rose water. When the mixture is smooth enough, apply it to your hair for an hour, then wash your hair with a mild shampoo. If you do not have enough time to wait for an hour, let’s try another remedy: whip an egg and a banana together, then add 2 or 3 tablespoons of coconut oil and honey each. Mix it thoroughly until the mixture is smooth enough. Apply it to your hair, and you only have to stay for 30 minutes, then washing your hair to finish. If you have never tried using cocoa butter for your hair, now it is time for you to reconsider it. Cocoa butter is an amazing conditioner with high fatty acids and natural oils, which deeply nourish and heal the damaged hair, adding hair volume to avoid breakage and hair loss. 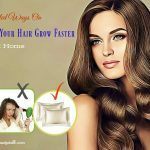 It also stimulates hair growth, and with regular use of cocoa butter, you can rest assured that stubborn split ends will not come back. It is simple to get the best of cocoa butter since you can either use it directly or mix it up with other ingredients. You can melt the cocoa butter, then apply it to your hair for 10 minutes before washing, or use it as a conditioner after hair washing. There is one thing you should keep in mind that cocoa butter is in solid form at room temperature. You must melt it before use, and do not leave it on your hair for too Or else, cocoa butter will come back to a solid state, and you will have trouble washing it off. On the other hand, you can mix melted cocoa butter and coconut oil with jojoba oil for better moisturization. You must whip the mixture carefully until it gets creamy, and apply it to your hair normally. 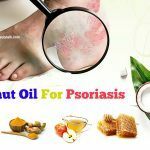 One special thing about this remedy is that it is not only for hair moisturization, it also has a spectacular effect on your skin. 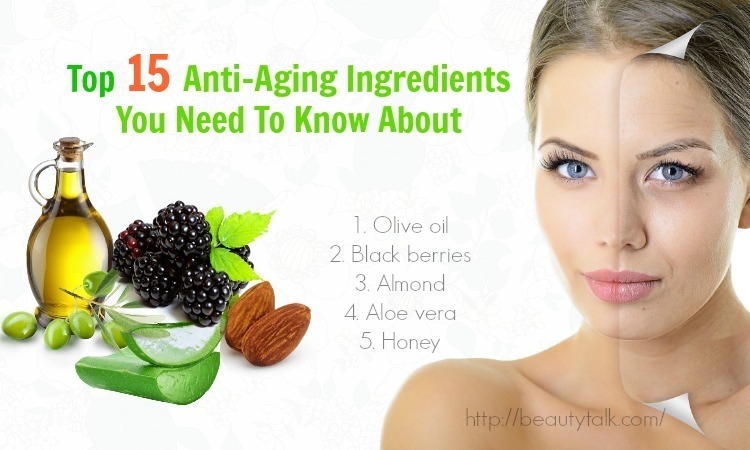 Honey is undeniably a wonderful treatment for healthcare and beauty tips, notably fixing split ends and dandruff . Honey is a natural panacea yet it is affordable and accessible to anyone. 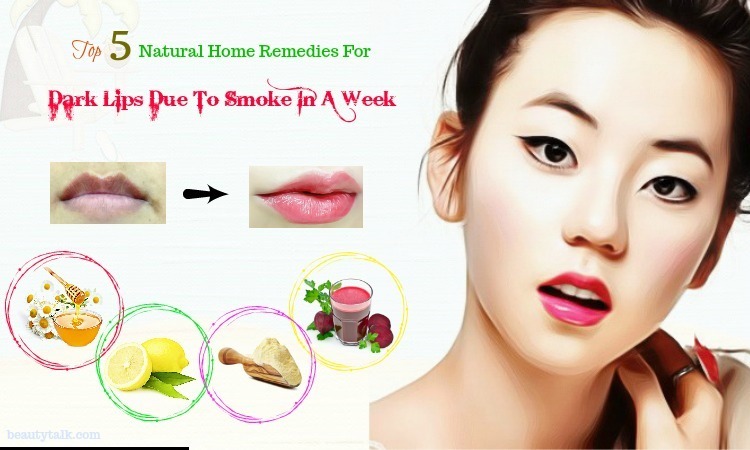 What more, it is a natural product that you can easily preserve for a very long time. Honey is undoubtedly rich in vitamins minerals, as well as antioxidants, which deeply conditions your hair, making it extra moisturized, soft and smoothly beautiful. You can directly apply honey on your hair for 20 minutes before washing, or you can mix honey with warm water to rinse your hair after washing with shampoo. 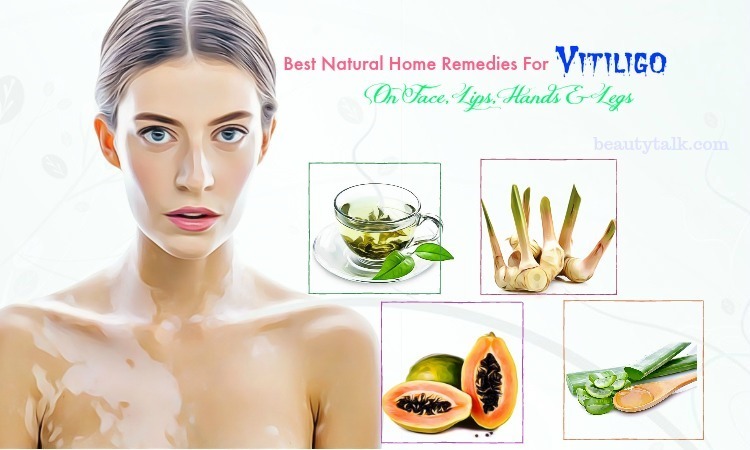 It is not difficult to find a skincare or beauty care product which is aloe vera-based. The fact that aloe vera is available for all types of beauty care products prove the magical benefits it can bring. But why do you have to purchase chemical products when you can use it completely naturally? It’s time to give aloe vera a go if you want your dry hair moisturized, preventing split ends and hair loss at the same time. 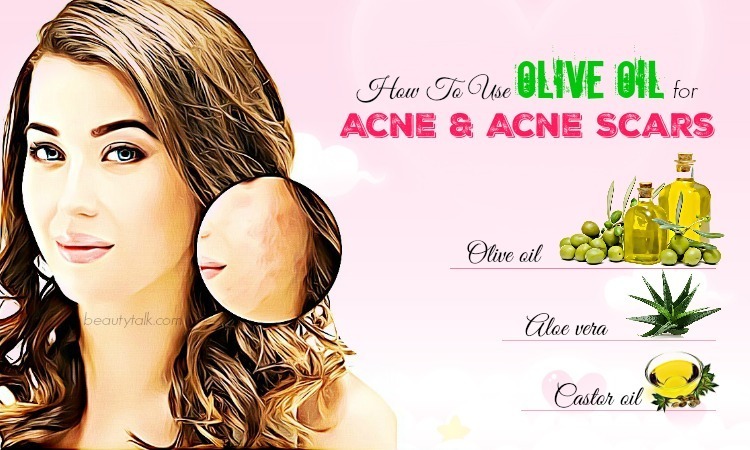 Two birds, one stone, making a larger portion of the remedies mentioned below and you can use that for your skin also. Get the gel out of aloe vera is simply quite enough for a hair mask. Apply it to your hair for 30 minutes then rinsing it off with shampoo to get a soft and silky hair. For a better result, you can mix the aloe vera gel into your shampoo and wash your hair normally. Split ends prevention and hair moisturization effect will be splendid. As mentioned previously, split ends problem does not only come from external factors, but it also comes from internal factors. It means that maintaining a proper diet is crucial to avoid split ends, apart from treating your hair with hair masks. When you are suffering from split ends, it probably means that you are not consuming enough protein, vitamins, and minerals. Jumping on a healthy diet does not only help to repair split ends, but your health will also improve in general. For protein, you can get it from red meat. However, fish, egg, beans, and avocado would be a better choice of protein. Additionally, omega-3s from fish like salmon, from avocado, almonds and pumpkin seeds are also a helpful suggestion for a strong and healthy hair. It is interesting to note that iron from seafood, red meat, as well as spinach and tomatoes would increase blood and oxygen supply to hair follicles, making it stronger and glossy. Finally, various vitamins from vegetables and fruit are essential for hair moisturization, keeping it hydrated to avoid frizzy hair. Even though split ends is a stubborn problem that anyone may experience it in their life, but fortunately, it is preventable if you take enough care of your hair. First and foremost, you should avoid exposure to the sun, to heat and dirty, as well as using strong chemical hair care products. Apart from regular trimming, I hope that above home remedies for split ends can help you successfully deal with your split ends problem. 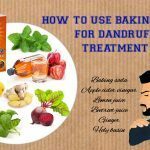 Please visit our Hair Care page for more useful natural hair remedies. Do not hesitate to share your thoughts by commenting below.